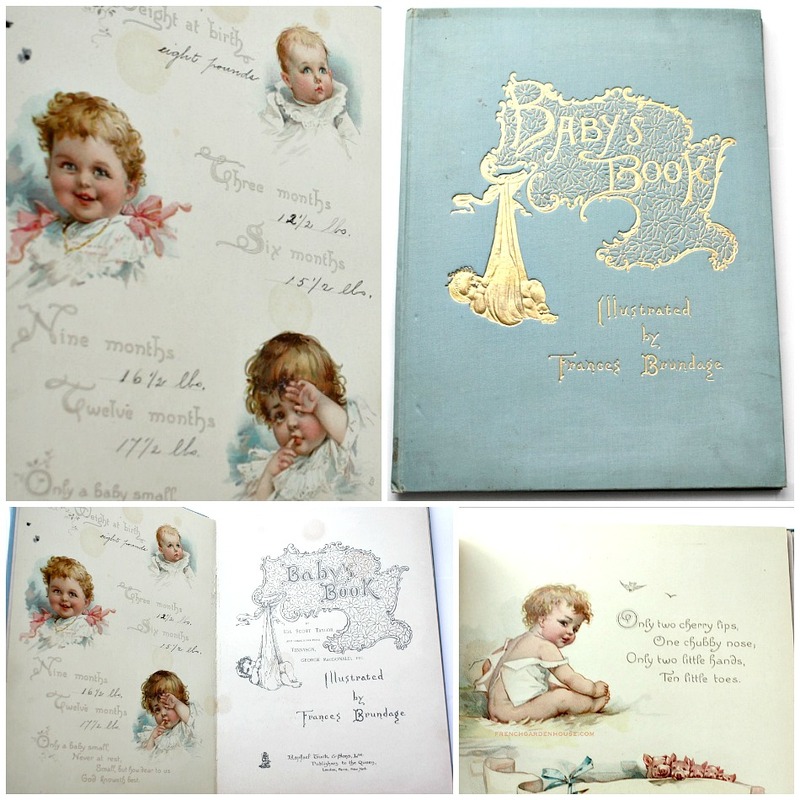 Gorgeous and rare to find, this collectible Baby's Book was published by Rahael Tuck & Sons in the late 1800's. 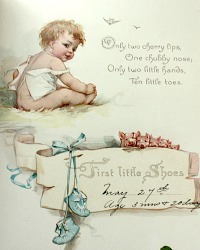 Illustrated by one of the most beloved and prolific women illustrators of the Victorian era, Frances Brundage. Born in 1854, Frances was educated in art by her father who painted church murals, portraits, and miniatures. She was famous for her depiction of beautiful children, her art closely resembles that of her contemporaries, Maud Humphrey and Ida Waugh. Brundage worked together with the British Tuck, they printed books and postcards that are avidly collected today. 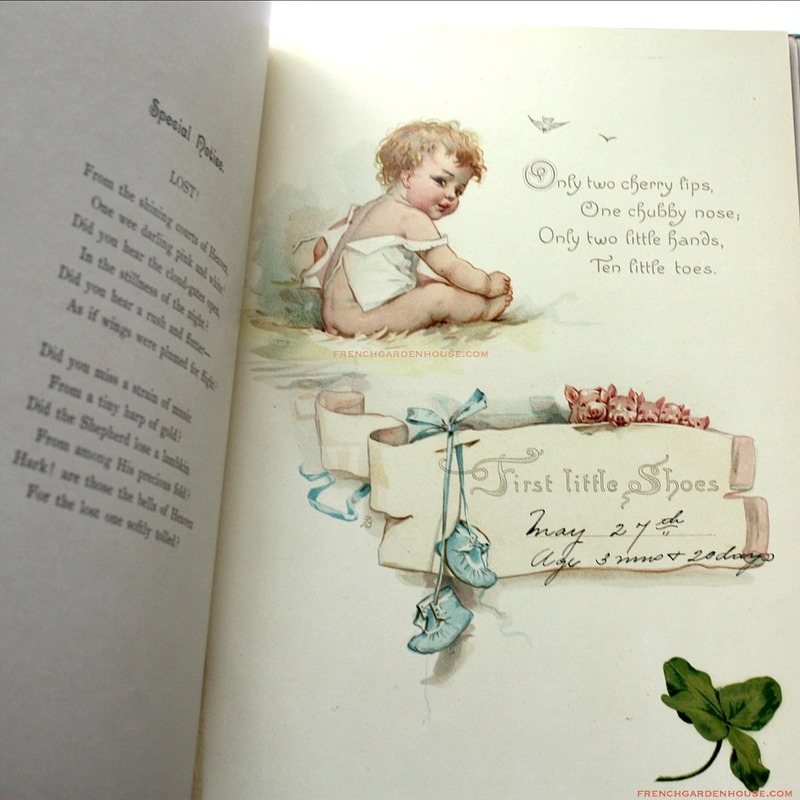 This is the most beautiful baby book. I was thrilled to purchase 2 copies from the estate of a collector. 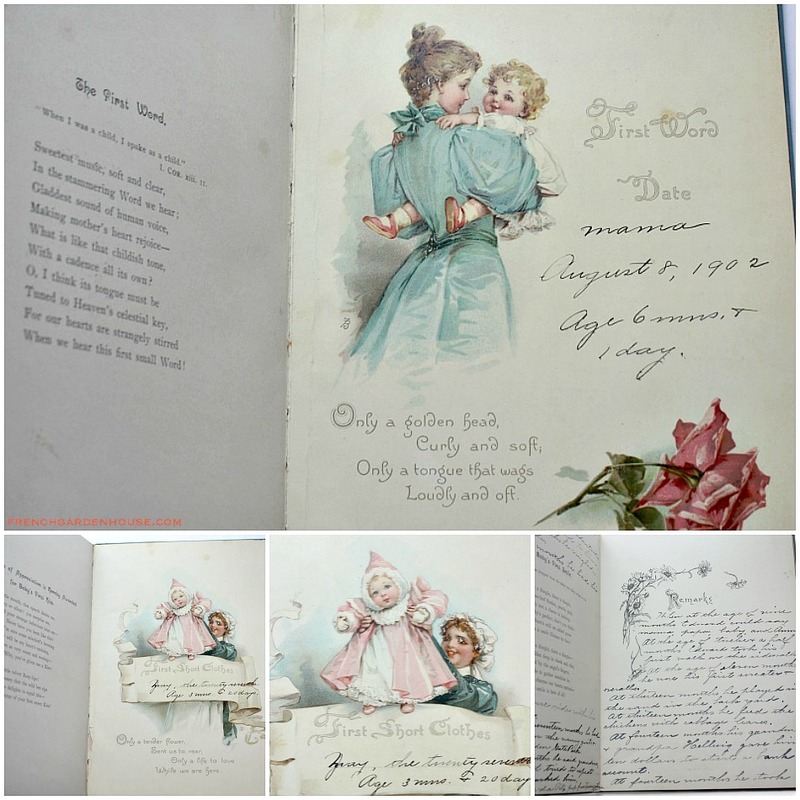 Written by Ida Scott Taylor with poems by Tennyson and George MacDonald. There are four full color chromolithographs, and many monotone illustrations, each one a treasure. Gilt end papers, this book was used to write the story of little Edward Wagner born in 1902. Born, First Visitors, First little shoes, First short clothes, First outing, First words, First tooth and many more "firsts". There is wear to cover at corners, slight aging inside as to be expected, the edges of the pages are in gilt. This copy has loosening of the binding, and one of the chromolithographs is loose from the book. Priced accordingly. Still a wonderful book, a gem to add to your collection or to gift to someone you love. Measures 10" x 7~1/2", 35pp.